Its all about the management of…. Create the problem and then manage it, use charitable operations to give unaccountability to your actions. Take the money and run. War is good for business. Today there is not a nation unaffected by the financial 911 of 2008, with civil unrest ever possible as the poverty begins to spread. Under such auspices poverty is looking more and more the likely candidate for the future expansion of Internally Displaced Persons. With all the changes made during the 2009 flu pandemic script, the rules of the legal game have changed considerably. The achievement of fully vaccinated populations is a distinct possibility in this scenario because should one become even for a short time, an IDP, then consent will be demanded of you and those close to you if you wish to take the benefits of the camps designated to deal with displaced persons. Football stadiums also take on a rather different meaning with such information as was mentioned around the time of the summer riots of 2011 in the UK, stadiums are a useful place for concentration. We must also consider the impact under such conditions of the mass migration of peoples into Europe and the United States. The Burning Man festival in Nevada on the face of it is just some kind of mass rave with anything goes. Well, if I said it was a supreme counterculture mind control op, and, a test ground for the global military complex to test the script to shift the entire globe into a concentration camp, monitored and managed via the high tech satellite and computer networks, I would think you might claim this a little far out? Even though we are speaking of the same intelligence networks behind the counter-culture through use of psychedelic drugs going way back to the early 20th century? It is when studying any map depicting dispersed peoples across the globe that a picture reveals itself and not a good picture at that, without coercion it is possible to see real time camps of concentration in all nations becoming prolific through war, or indeed through starvation due to the total collapse of the global economic system. In Britain the Contingency Act is the overall doctrine under which all emergency type events take their influence, it is the means to switching the whole nation into a United Nations-Red Cross humanitarian concentration camp, completely controlled by the corporate empire. It is a human management system for disasters but control lies in private hands. Poverty could just be the catalyst for such a heinous concept to become active, from our investigation of a chemical drill in 2009 at a primary school in Lancashire, Peel Park Primary, we believe such a script is exactly what they are drilling for. As to how this will be achieved is as yet unknown to us, but they would seem to have a few possibilities to play with, and perhaps they plan to use more than one type of catalyst? In Burma the people are kept at such a restrictive level that many see the IDP camps as an escape from the state and its regime of suppression, and so the camps become full of people who have chosen to be there and will allow all vaccinations and other medical demands made upon them by the camp operators, which then satisfies the consensual aspect of all things corporate Legal. 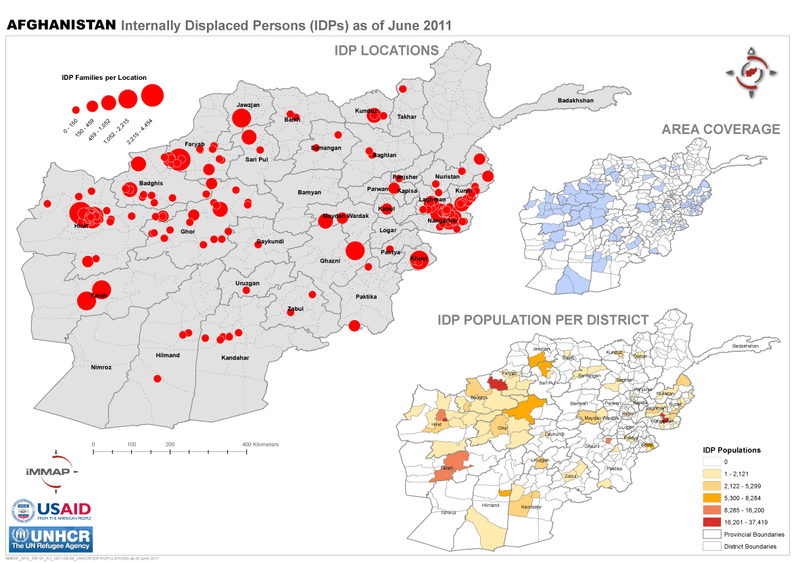 The situation in Afghanistan remains volatile, with continuing conflict and random violence causing further internal displacement. The lack of security hinders UNHCR’s operations and access to people of concern. Another challenge is to ensure regular and reliable information on areas in which UNHCR operates, so that policies can be implemented effectively and safely.The political situation continues to be in flux, although measures to promote security and stability are pursued by international and national actors. The people of concern to UNHCR in Afghanistan total some 1.3 million, comprising asylum-seekers, refugees, returning refugees and internally displaced persons (IDPs). UNHCR provides protection and supports policies and mechanisms that promote the sustainable reintegration of returning refugees. It also responds to the immediate humanitarian needs of IDPs and, where possible, pursues durable solutions for them. In addition to the establishment of peace and security, the key to Afghanistan’s future stability is an improvement in the services provided by the Government to its citizens. It is a cornerstone of UNHCR’s strategy to support the efforts of the Government in this area, particularly through District Offices throughout the country. Preparations are ongoing for the Afghan Stakeholders Conference scheduled for early 2012. The Conference will establish a platform for dialogue among relevant stakeholders from Afghanistan, the Islamic Republic of Iran and Pakistan. A three-year road map for action will be drawn up and will include the identification of strategic partnerships, and the investments required to achieve a set of comprehensive solutions to the displacement issues that have risen as a result of the conflict in Afghanistan. Through its leadership of the protection and emergency-shelter clusters, as well as the IDP Task Force, UNHCR is responsible for coordinating joint humanitarian activities in Afghanistan. More than 5.7 million refugees — 4.6 million of them with UNHCR assistance — have returned to Afghanistan since 2002, increasing the population of the country by some 25 per cent. UNHCR has conducted an assessment in 2011, to gauge the level of reintegration achieved by the returnees. The survey, which covered both urban and rural areas, has shown that more than 40 per cent of returnees have not reintegrated into their home communities. Similar conclusions were reached by a joint UNHCR and World Bank study among urban populations. Specific areas needing improvement include land tenure and housing, livelihood opportunities, and access to public services and water. The first half of 2011 has seen a rapid increase in conflict-induced internal displacement in Afghanistan, creating nearly 100,000 new IDPs and bringing the total IDP population to approximately 500,000 people. Securing access to the displaced, responding to their immediate needs and pursuing advocacy aimed at reducing displacement and promoting returns are key tasks for UNHCR. The same applies to the humanitarian assistance being provided by UNHCR to those affected and displaced by natural disasters. Although the number of refugees who have fled to Afghanistan is small in comparison with that of IDPs and returnees in the country, there is neither a legal framework nor appropriate mechanisms to respond to their protection and assistance needs. Another systemic problem is the lack of facilities to solve land disputes, which prolongs displacement. While most of the Democratic Republic of the Congo (DRC) is now stable, the security situation remains volatile in the east of the country, where military operations against armed groups continue to generate internal displacement. The DRC suffers from generalised poverty and lawlessness, and young people are easily recruited by warlords, with serious infractions committed by armed groups as well as civilians. More than 1.7 million people are internally displaced persons (IDPs), of whom some 72,000 live in spontaneous camps where they are assisted by UNHCR. Apart from long-standing ethnic rivalries, competition over resources and land is another main trigger of conflict. Reconciliation committees have been established in all areas of major return to ease tensions and mediate between returnees and local communities in case of conflict. At the end of 2010, the DRC hosted some 166,300 refugees, almost 19,200 fewer than in 2009, due to voluntary repatriation. Most of those who remain are from Angola, Burundi, the Central African Republic, the Republic of the Congo, Rwanda and Sudan. With the exception of an estimated 59,000 Rwandan refugees in the Kivus who remain inaccessible to UNHCR, most refugees in the country are individually registered and documented. They enjoy relative freedom of movement, but opportunities for their local integration are restricted due to opposition from local communities. 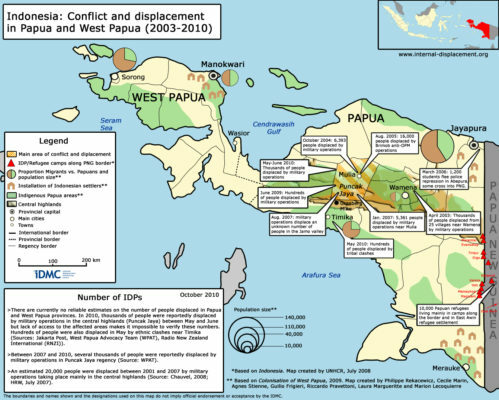 During 2011, thousands of people were displaced by renewed inter-communal violence in Maluku province and by counter-insurgency operations targeting Free Papua Movement (OPM) rebels in Papua province. Between April and December, an unknown number of Papuans were displaced in the central highlands region of Puncak Jaya. The largest reported displacement took place in mid-December in Paniai regency, where more than 10,000 people were forced from their homes in more than a hundred different villages. In September, as many as 500 homes in Maluku’s capital of Ambon were set on fire and nearly 5,000 people were displaced, some of them losing their homes for the fourth time in 12 years. 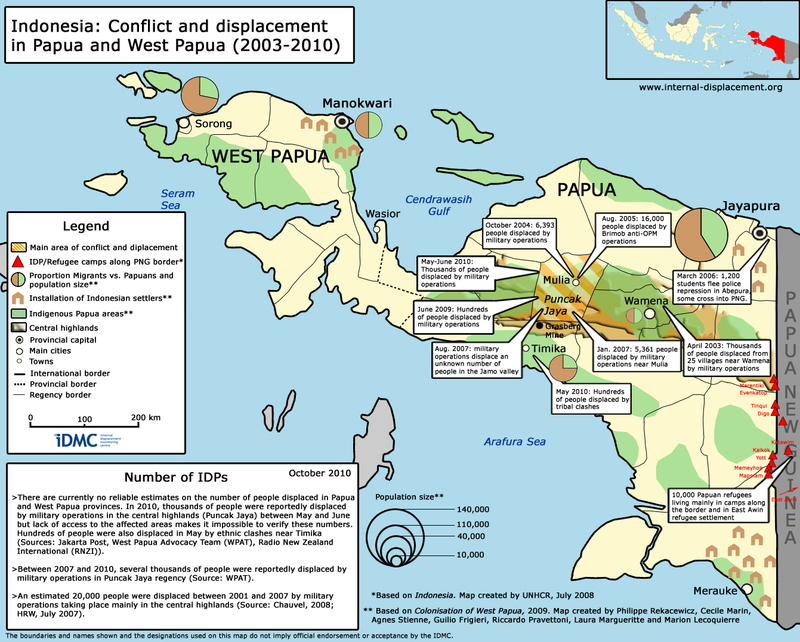 During 2011, thousands of people were displaced by renewed inter-communal violence in Maluku province and by counter-insurgency operations targeting Free Papua Movement (OPM) rebels in Papua province. Between April and December, an unknown number of Papuans were displaced in the central highlands region of Puncak Jaya. The largest reported displacement took place in mid-December in Paniai regency, where more than 10,000 people were forced from their homes in more than a hundred differ-ent villages. In September, as many as 500 homes in Maluku’s capital of Ambon were set on fire and nearly 5,000 people were displaced, some of them losing their homes for the fourth time in 12 years. There are no reliable figures for the current number of internally displaced people (IDPs) in Indonesia, but the total could be as high as 180,000. 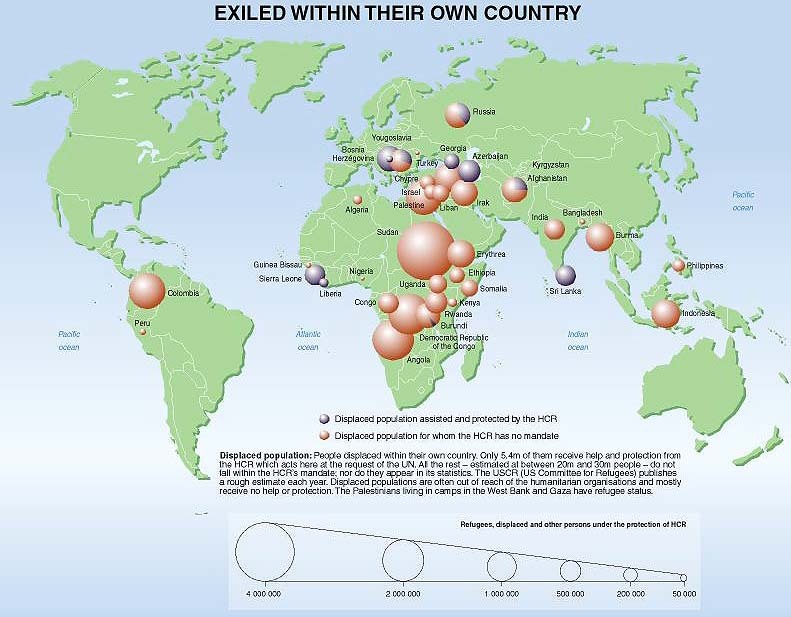 This figure includes those who fled their homes during 2011 and have been unable to return, and those among the estimated 2 million people displaced between 1997 and 2004 who have failed to achieve a durable solution by integrating locally or settling elsewhere. Tens of thousands of IDPs have been unable to exercise their basic rights to the same extent as the general popula- tion, and the help they have received has not enabled them to overcome their displace-ment. They face economic, social and political segregation, and their difficulties in assert-ing ownership or tenancy over land and property have not been addressed. The restriction on movement creates a wretched situation for the villagers, because they could not go out to work on their farms for their livelihood. The lives of the civilians in these areas are under constant threat, particularly the women and children. They do not have the right to refuse or negotiate. They have no choice, even though they know that it is a high risk living. Some of them secretly leave their villages and go to the IDP areas. The highest rates of displacement during the past year were recorded in central Karen State’s border areas with Thailand, central Shan State and the northern Karen areas. 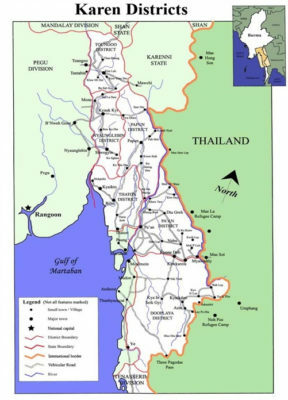 A breakaway faction of the Democratic Karen Buddhist Army (DKBA) resumed armed resistance in November 2010, and the resulting conflict led to the displacement of over 27,000 people from Myawaddy and surrounding townships. After the Tatmadaw broke a 22 year ceasefire agreement and resumed military offensives against the Shan State Army-North (SSA-N) in March 2011, over 31,000 civilians fled from their homes across 10 townships. A further 28,000 civilians have been displaced from northern Karen State and eastern Pegu Region as a result of hydro-electric dams and counter-insurgency operations targeting civilians to undermine the Karen National Union (KNU). Recent rates of forced displacement in South East Burma have averaged around 75,000 people per year, but estimates for the past year are the highest in a decade. This reflects the increased instability that has been induced by the order for non-state armed groups formerly with ceasefire agreements to transform into Border Guard Force battalions under the Tatmadaw’s command. Recent displacement is disaggregated to the township level and documented in Appendix 1. AFRICA contains half of the world’s Internally Displaced Persons (IDPs)—those who have fled their homes but continue to live in their own countries. Sudan alone has over 4m of them, about the same number as the whole of Asia. Congo has another 2m or so, Somalia at least 1.3m. A score of other countries including Uganda, Zimbabwe and Kenya have hundreds of thousands more. 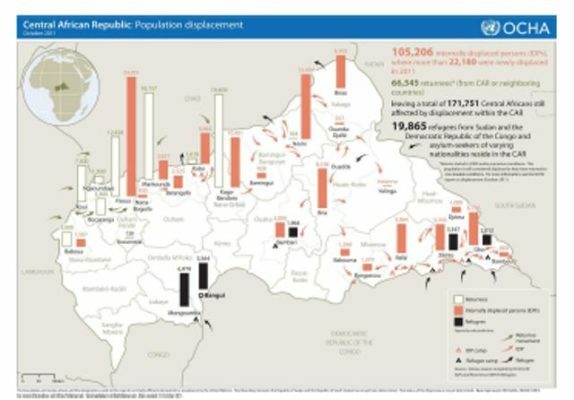 In sum, there are about 12m IDPs across the continent.